While large 20,000-seat sports venues aren’t going away, mid-size venues provide advantages the big arenas do not in a time of budget constraints and the need for flexibility. The 3,800-seat Covelli Multi-Sport Arena at The Ohio State University will not take the place of the Schottenstein Center, where 19,500 can watch a basketball game. 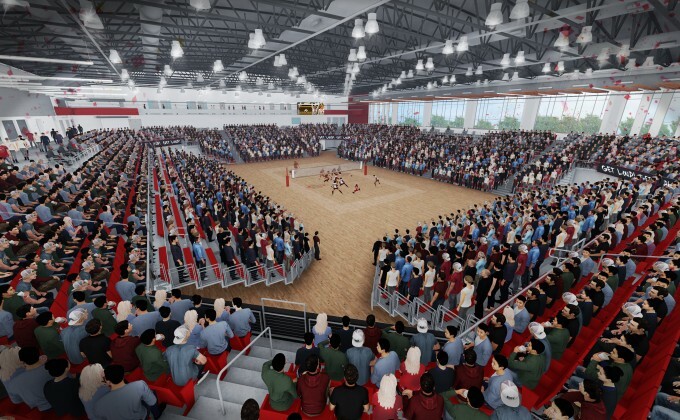 What it will do is provide a home for wrestling, volleyball and gymnastics, while also allowing for lectures, concerts, banquets, academic college’s graduation, and similar campus events. 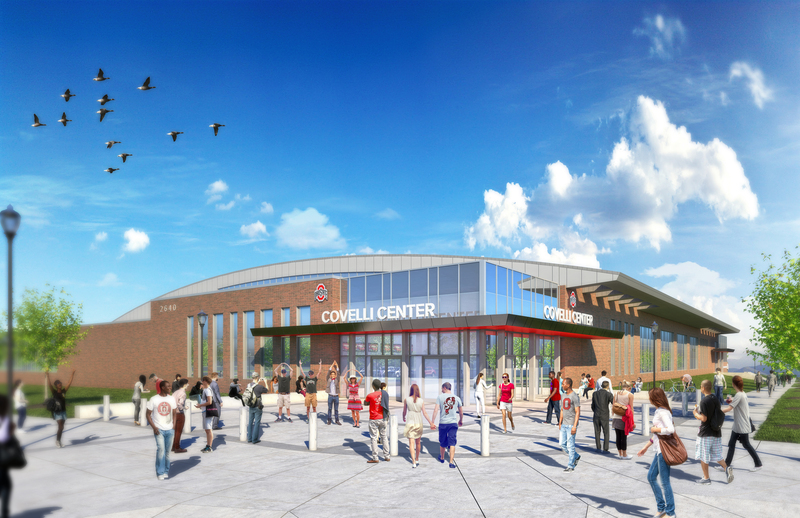 The Covelli Arena project is indicative of a trend among colleges and universities toward mid-size, multi-use arenas that can serve the student body and surrounding community. While large 20,000-seat sports venues aren’t going away, mid-size venues provide advantages the big arenas do not in a time of budget constraints and the need for flexibility. 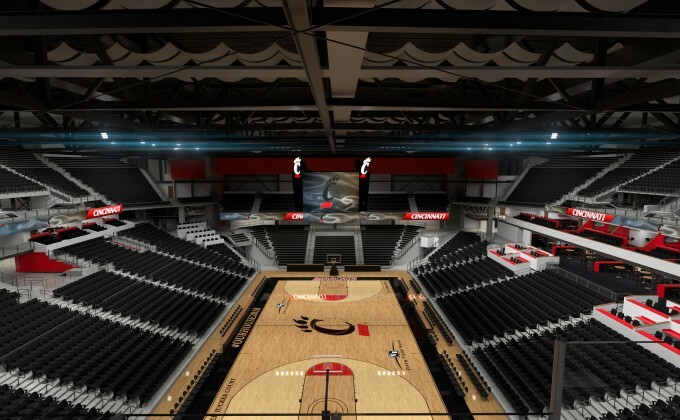 Obviously, a 5,000- to 6,000-seat arena is easier to fill than a larger facility. Most non-Division I schools – and even many Division I schools – struggle to fill large basketball arenas. Yet they find they can pack a mid-size arena for every event and that the energy level and experience is heightened, because fans are closer to the action. And this holds true for numerous other events that a multi-use arena allows. 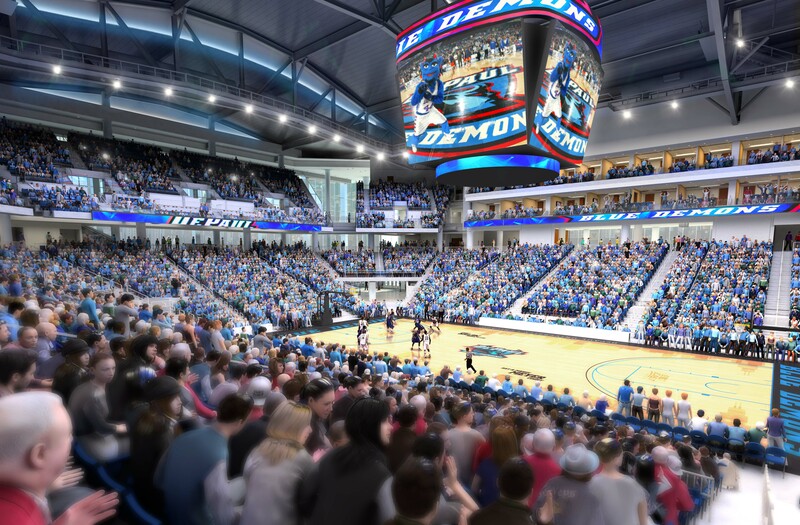 Operating costs are another attractive feature of mid-size arenas. They often require a leaner staff, a smaller budget to build and operate, and are much more energy efficient than their larger cousins. Because these buildings can be used continuously, a college or university can operate them much more efficiently. 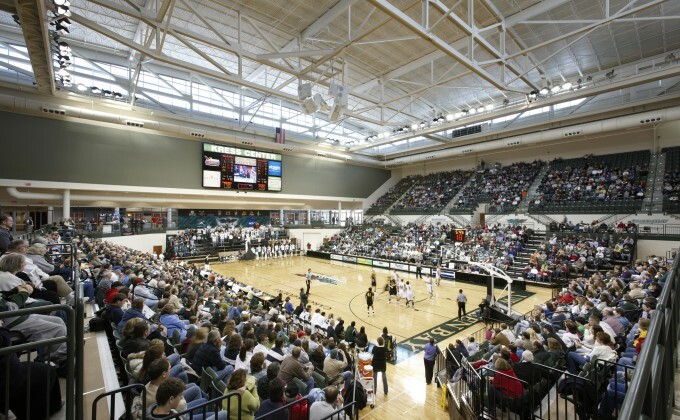 Often, the sheer scale of mid-size arenas fits better into many campus environments. The challenges of integrating a smaller venue with other campus buildings is much less of a problem than for larger facilities, and the costs of the exterior finish enclosure is more consistent with surrounding buildings is more achievable due the smaller scale. Finally, mid-size arenas can be more “donor-friendly.” Large venues typically require a big name and a big donor. In contrast, multiple smaller scale donors can fund a significant portion of the cost of a mid-size arena. While there are clear advantages to mid-size arenas, spectators want the look, feel, taste and smell of a big one. Making a mid-size venue seem larger is a design challenge and requires experience and creativity. For universal access, ideally, mid-size arenas are designed with the main concourse level with surrounding site; by which spectators descend into a lower bowl. The challenge here may be what is below the ground. Thorough evaluation of existing soil conditions and possible high water table can significant impact the design or even cause a new site location to be desired. 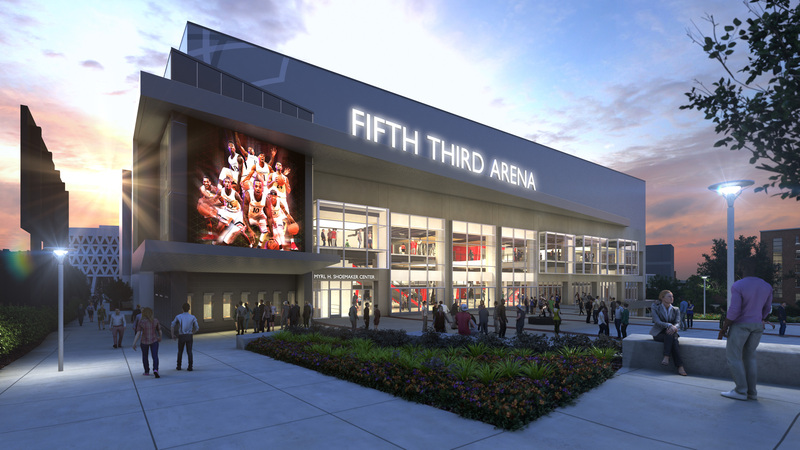 Designing a mid-size arena requires architects to depart from the large-arena mindset. 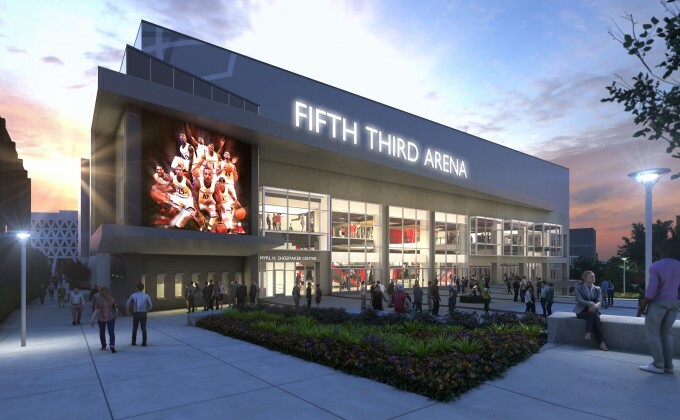 Replicating a big-arena environment at a third the size requires a different approach, but also calls for design elements employed in the bigger arenas. For example, large arenas typically have multiple large entries, while the mid-size arena likely has only one main entry. Architects have a number of options for replicating the “wow factor” of larger venues. Some of these solutions can include an oversized main entry, impactful signage and wayfinding, large scale video technology, open and inviting layout, and other elements that create the same drama and fan experience. Center-hung scoreboards are typically too big and too expensive for a mid-size, multi-use venue. 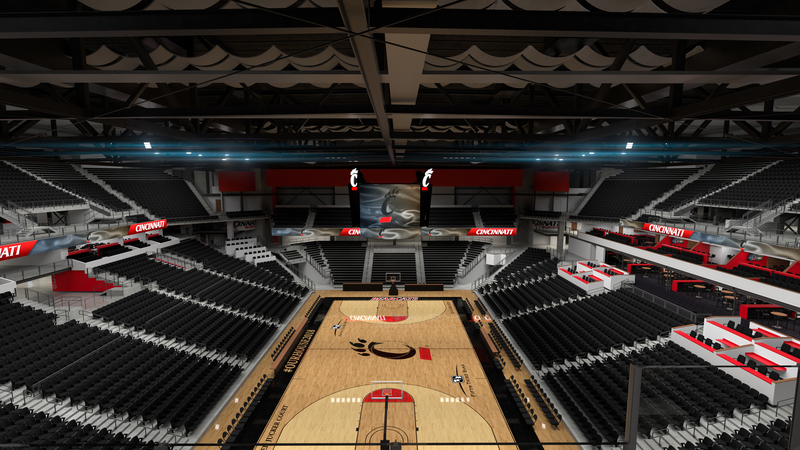 One solution is to place larger video boards and scoreboards on two of the sides and to use technology to its fullest, incorporating event-focused variety into the digital video boards and ribbon boards. Higher-end sound systems go a long way as well. The goal remains for spectators to become fully immersed in the event with all their senses. In a mid-sized arena, it’s hard to go too far with environmental branding. Incorporating both still and digital graphics effectively is crucial. 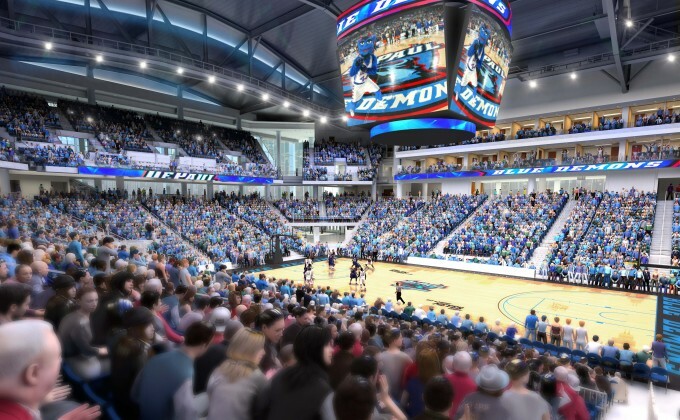 If these mid-size arenas are to be more flexible and multipurpose, videoboards become important as a way to switch out digital branding and other graphics based on individual sport and public focused events. 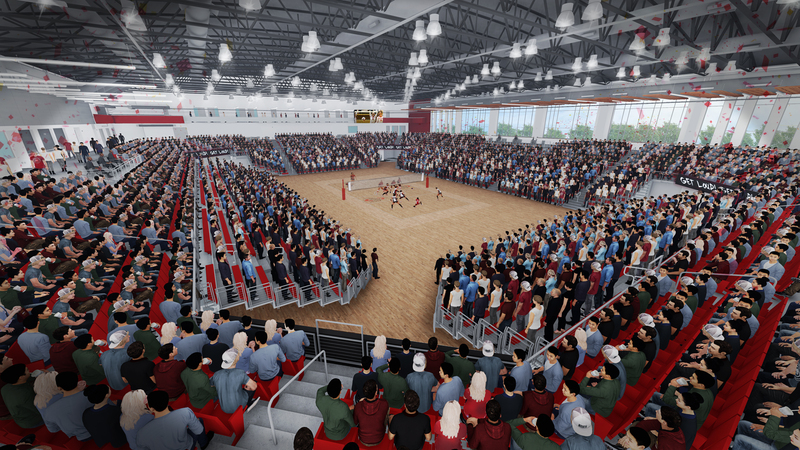 Multi-use arenas also require flexibility in seating. One way to capture a big-venue feel is to encircle the entire perimeter with seats. A 60 percent to 40 percent mix of permanent vs. retractable seating, with fixed seats at the upper reaches of the bowl and retractable seating toward the floor is one way to accomplish this. That allows the event floor area to be opened up for varied sized events that need more space and less seating, such as an exhibit or gymnastics meet. Building codes can also present a challenge. Codes that dictate construction type, smoke evacuation and egress apply to large and smaller buildings alike. Because the costs of meeting those codes is comparable for each, code fulfillment can eat up a larger proportion of the mid-size venue’s total budget if one does not strategize on this early in the design process. 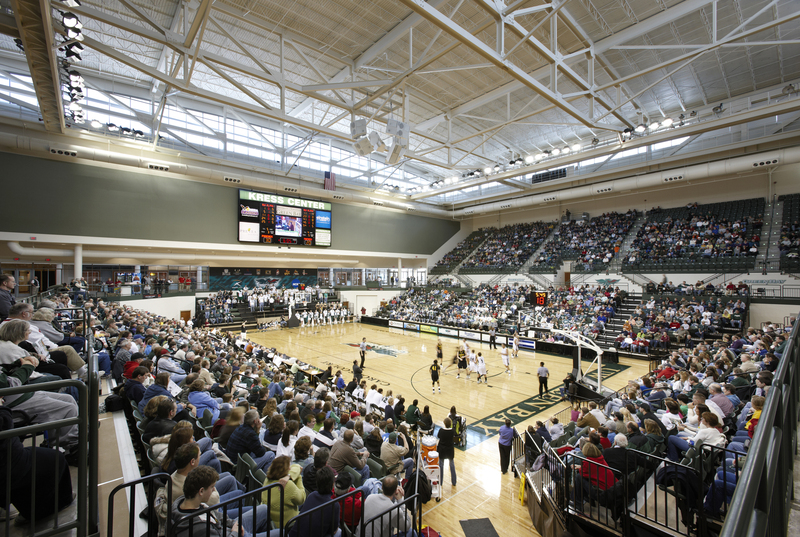 While mid-size arenas are complex and can be subject to challenging building codes, there are ways to lessen the impact. For example, a successful solution is to design these arenas to a type A4, one-story with a basement classification; this can significantly reduce fire proofing requirements and allows it to be considered an unlimited area building. Such an approach can save a lot of budget costs, depending on the venue, allowing more dollars to be used for the building program. These projects are exciting, flexible and sustainable. While they present challenges, the advantages are such that mid-size, multi-use arenas will continue to grow in popularity well into the future. Troy Sherrard has more than 20 years of architectural design leadership in recreational, health/wellness, community, athletic and student focused projects, giving him an in-depth understanding of the specific design issues and solutions involved in creating state-of-the-art facilities. He specializes in managing and leading all aspects of the design process to construction with a focus on sustainable design integration and team collaboration.